Last week we told you about the plan to move Pompano Beach’s historic “McNab House” from its current location to McNab Park. Some residents are questioning whether or not the house, which would become an upscale restaurant, should replace a local neighborhood park. The Pompano Beach landmark is currently located at at 1736 E. Atlantic Blvd It was built in the 1920s by members of The McNab family, early settlers of the city. You probably drive by the house regularly. It’s the one with the big grass lawn and the single family house sitting majestically a hundred feet or so back. Late last year, the property was purchased by a developer for more than one million dollars. Their plan calls for a mixed used development Atlantic One. The three to five story buildings expect to include some retail and over over 300 apartments and townhouses. 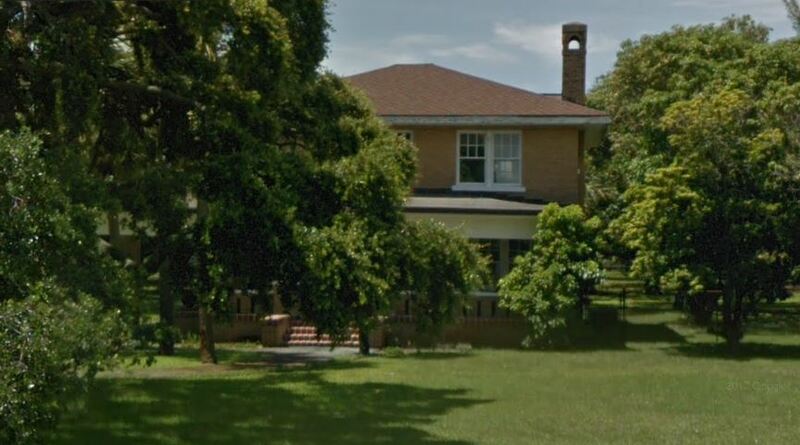 Instead of tearing down the McNab house, proposals came out to move the house to the 2200 block of East Atlantic Blvd. 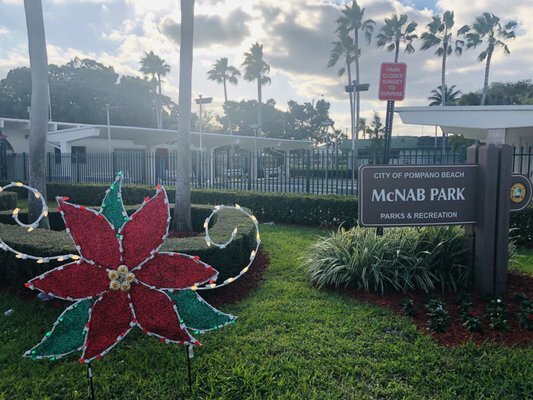 That block currently consists of the Pompano Beach Chamber of Commerce building and the small community park also named after the McNab family. The CRA is recommending that the home be turned into a restaurant, most likely with an upscale menu and clientele. A small bed and breakfast hotel and botanical garden could also be developed on the site. Exactly how much of the block will be taken up by the restaurant and other possible development had not been officially announced in detail but local residents immediately feared the entire park could be eliminated. The ambitious plans may very well do that. The CRA believes strongly that the move would benefit the city and has sent out the highly positive press release attempting to show the value of the project. “The McNab House, an iconic, 1926 historic structure could become a new, beautiful and exciting dining and entertainment destination for Pompano Beach… [similar to] the former historic homes Sundy House and DaDa, now popular destinations in Delray Beach. The McNab House and Botanical Gardens concept includes renovations to the House, lush tropical landscaping and water features throughout the site. Additional proposed uses include a bed and breakfast, and an open English-style garden design with a gazebo for weddings and other special events…a paseo is suggested to activate the area with pedestrians and bicyclist. While the concept calls for private operators, it will remain open to the public during business hours…The McNab House is one of the oldest homes in Pompano Beach and had been in the McNab family for generations… There is strong support by many, including the McNab family, to preserve the McNab House and avoid demolition. The site identified as an alternative location for The McNab House is McNab Park, a few blocks east of the existing home. There is an opportunity to keep the McNab family ties strong by relocating the house to McNab Park. The existing park is on land … donated by the McNab family to the City of Pompano Beach. “We’re excited about this project and the possibility to save an historic structure and activate the park with uses such as a restaurant and bed and breakfast for the community and tourist to enjoy,” said Pompano Beach City Commissioner Tom McMahon, former President of the Pompano Beach Historical Society. The East CRA Advisory Committee expressed the same sentiment after seeing the concept at their last meeting. The McNab House and Botanical Gardens project has been met with overwhelming support from the community. Many supporters embraced the idea of having a destination place like Sundy House in Pompano Beach…attract[ing] thousands of tourists and visitors every year…A letter of support from the Pompano Beach Historical Society was shared with the public at the East CRA Advisory Committee meeting. Is this a positive for Pompano Beach? Preserving an historic home and creating a new destination restaurant in Pompano Beach? Or, is it an example of overdevelopment, eliminating a popular park used by residents of all ages? We’d like to know your thoughts. Please add your comments to this page.